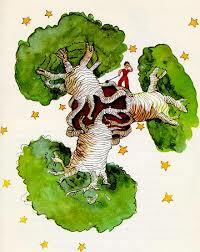 I have no idea how I missed this book, but in deference to Saint-Exupery I really should read it. It is his most famous work by a long shot, world-famous, and I kind of dismissed his ” Wind, Sand and Stars” as being thoughtlessly sexist. The story is lovely and incredible – fantastical and it’s illustrated with delightfully simple little pictures. I’m just using a freebie pdf file found on the net but they’ve done a good job. The book has been in the public domain for some time. drawing. He is telling us how his plane crashed in the Sahara 6 years prior and he met a very small man. 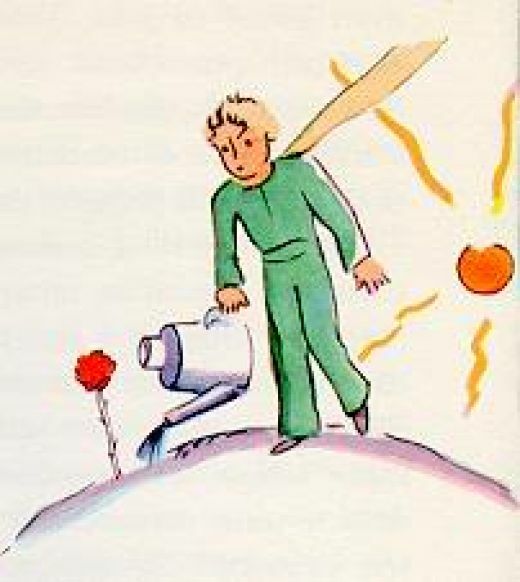 The man wants the boy to draw him a sheep – and so begins the story of The Little Prince (which is who that little man is). 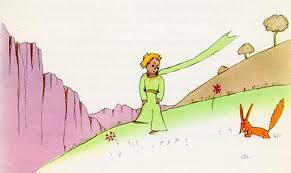 Apparently the Little Prince’s planet has a problem with baobab trees – very large strange looking trees. mountains and flowers and a fox. The fox is tamed but it’s not the prince’s rose. It would seem the prince’s own little flower is best. And the prince talks to a railroad switchman and a thirst-quenching pill merchant and finally the story is back to the 1st person who has crashed his plane in the desert and is very, very thirsty. And although there are two more chapters – I’ll leave it at that. There’s been a certain amount of study regarding the meaning and symbolism and so on of this book but to me that all kind of dampens the effect. I know what it’s about through archetypes and my heart. 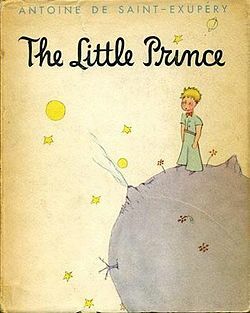 I rarely feel that way about a book but this is NOT a children’s book and Saint Exupery put the drawings in for a reason – the reader should try to let himself understand this as a child.